Monday, September 17th, is Constitution Day. This year is the 220th anniversary of the signing of our Constitution – at 4,440 words, it is the oldest and the shortest written constitution of any major government in the world. The Constitutional Convention convened on May 25, 1787, in the Assembly Room of Independence Hall in Philadelphia, Pennsylvania. Freshly spread dirt covered the cobblestone street in front of the building, protecting the men inside from the sound of passing carriages and carts. Guards stood at the entrances to ensure that the curious were kept at a distance. The proceedings were held in secret. James Madison, “the Father of the Constitution,” arrived first in Philadelphia for the Convention. Arriving in February, three months before the Convention began, he brought with him the blueprint for the new Constitution. Seventy individuals had been chosen to attend the meetings with the initial purpose of amending the Articles of Confederation, the document which up to that point had loosely held the colonies together. Rhode Island was the only colony which chose not to send a delegate to the meeting. Fifty-five men attended most of the meetings, but only thirty-nine delegates actually signed the Constitution. Frail, in poor health, and barely able to walk, he needed help to sign his name to the document, and, as he did so, tears streamed down his face. Great debates would rage for the next few months as those who supported the new government argued for its acceptance and ratification while those opposed would argue just as fervently against its implementation. By late June of 1788, the debate was over; the required number of states had ratified the Constitution, and the “Great Experiment” had begun. Our Constitution is composed of three parts: The Preamble, the Body consisting of seven Articles, and the 27 Amendments. Article I – Sets out the powers of the legislature and the requirements to be a representative or a senator. Each state has two senators and a number of representatives based on population. The number of a state’s representatives is adjusted every 10 years based on the census. Population shifts can either add to the number or subtract from the number. The number of senators remains the same – only two. Section 8 of Article I contains the powers given to Congress to govern the country. It sets out such powers as laying and collecting taxes, regulating commerce among the several states, coining money, declaring war, etc. Article II – Sets out the powers of the executive and the requirements to be the president. Originally, no term limits were imposed, but, until Franklin D. Roosevelt was elected for a third term and then a fourth, no person had been elected more than twice. To ensure that no person held office for too long, the 22nd Amendment was proposed by Congress and sent to the states for ratification. It was ratified by the required 3/4 of the states on February 27, 1951. Article III – Sets out the powers of the judiciary, its jurisdiction, and the requirements to be a federal judge. The Supreme Court was the only court actually established by the Constitution. The Founding Fathers gave Congress the power to establish inferior Courts as it saw fit from time to time. Article V – Establishes the process for amending the Constitution when necessary. The bar to amend was set fairly high – 2/3 of both houses of Congress and 3/4 of the state legislatures – to prevent the amending process from becoming too easy to navigate. Article VI – Establishes the Constitution and the Laws of the United States as the Supreme Law of the Land. When conflicts occur between a state and the federal government, the federal government controls. Article VI also provides that all debts would be assumed by the federal government. This Article insured that any debts incurred by the national government under the Articles of Confederation would be honored under the Constitution. These Revolutionary War debts were considerable. In addition, many individual states still owed substantial sums for war expenses. Article VII – Provides the process by which the Constitution would become binding on the states. The ratification of 3/4 of the colonies’ legislatures was required to ratify the new Constitution. The third part is the amendments. The Constitution has been ramended 27 times. Ten of those amendments were added during the meeting of the first Congress in 1789 with ratification in 1791. The first ten amendments are known collectively as the “Bill of Rights” and were added to allay fears that the new government would take away rights cherished by the colonists – freedom of religion, freedom of speech, etc. The topics of the additional 17 amendments range from providing the vote to women, 18-year olds, and minorities; abolishing slavery; changing the method of electing senators, etc. As George Washington stated, “its only keepers, the people.” As a Nation, we must know how our Constitution was born and what our Constitution says in order to be “keepers”. Many would like to think it is a document set in stone and the words have no life – their philosophy is that what the Constitution said in 1787 on the day of its signing is what it should mean today. But the Founding Fathers probably realized they could not possibly provide for every contingency and that future generations would see the world in a different way, tailoring the Constitution through interpretations and amendments to meet the needs of the very posterity that they spoke of in the Preamble. While all of us have busy lives, take a moment on Monday to think, just think, about the feat that was accomplished at Independence Hall in Philadelphia, that September 17th, 220 years ago. Think of the 39 who dared to sign the document, setting the country on an uncharted course. Think of the heated political debates that took place as those who signed returned home to convince their fellow citizens that this was the right thing to do. Think of the courage those at the Constitutional Convention displayed. And, finally, think about this – our Founding Fathers were not perfect; they had their flaws, and they were the wealthy and propertied of the colonies. They did not represent the majority of the colonists. The Founding Fathers were the elite of the times worried about retaining their status and power. But, regardless of their status and wealth, they gave us a document that is ours now. Margaret Mead once said, “Never doubt that a small group of thoughtful, committed citizens can change the world; indeed, it is the only thing that ever has.” Her statement could read, “Never doubt that a small group of thoughtful, committed keepers can change the world; indeed, it is the only thing that ever has.” The Constitution is not set in stone; it is a living, breathing document. We are the Keepers, and Constitution Day is the day we should remember that and commit to our power to change not only our society but also our world for the better. This entry was posted in Rights and Liberties, U.S. Constitution by Charlotte A. Weybright. Bookmark the permalink. The Constitution is most certainly Not a “…a living, breathing document…” This notion has spawned many erroneous interpretations. The Fifth Amendment was deliberately crafted to make it Very difficult to change Anything. The Framers knew America could become less politically astute is following generations – and we did. Actually, all jurisdictions are separate and distinct, which is to say, the Constitution strictly limits the federal government’s role within the States to post offices, post roads, and interstate commerce [an area which has been seriously abused and stretched beyond recognition]. The Constitution itself explains the limited instances wherein the so-called Supremacy Clause might come into play. It is critical to understand that the Constitution did not create a nation. It created only a limited government with limited authority for limited reasons. Read the 9th and 10th Amendments until you understand they only limit the federal government not the States. The Creature cannot be greater than the Creator. We are free to change the Constitution ultimately. But let’s not change it before we understand it. Thank you for your comments on the Constitution. Let me address your comments in order of their appearance. Because I see the Constitution as a “living, breathing document” does not make my position “erroneous.” Since the Founding Fathers provided a method of amending the Constitution, they certainly realized that changes to the Constitution might be needed in the future. In fact, one of the first tasks accomplished at the First Congress in 1789 was to “amend” the Constitution to provide protection of certain rights. Why else have an amending process? The 14th Amendment has also provided a means of ensuring that “persons” are protected against state action. While the Bill of Rights applied against the federal government, states were more than capable of denying rights to residents within their respective jurisdictions. The 14th Amendment provided the vehicle to selectively incorporate certain rights found in the Bill of Rights and apply them against the states. But, exactly where is it written that we cannot view the Constitution in different ways? I choose to view the Constitution as a “living” document in that it can be amended to address changes in society. I have the right to vote because of the 19th amendment which prevented the states and the federal governments from denying that right. I visited your website, LexRex, and your perspective is your perspective. So be it. I assume you meant Article V instead of Amendment V. Again, the Founding Fathers made the process difficult; however, despite the difficulty of amending the Constitution, they did establish a process which shows that they recognized the possibility of change. As to becoming less politically astute, could you expand on what you mean by that statement? Do you mean a decrease in voter participation? Yes, I understand all jurisdictions are separate and distinct as noted in my statements about “full faith and credit.” I also understand that we have a system of federalism – a dual system of governments. I also understand we have a Republic and not a democracy. You note that the “interstate commerce clause has been abused and stretched beyond all recognition.” Yet, it is the courts which have assumed the role of interpreting the Constitution, so if the courts have been given that authority and we recognize that authority as legitimate, then the abuse of the Commerce Clause, again, is a philosophical disagreement as to the role of government. That is your point of view as well as others, I am sure. Again, an interpretation of the Constitution depends on your viewpoint of the role of the federal government. The definition of “nation” is “a body of people, associated with a particular territory, that is sufficiently conscious of its unity to seek or to possess a government peculiarly its own.” How is it that this definition does not apply to what was accomplished at the Constitutional Convention? Finally, the Founding Fathers did not insert the wording contained in Amendments IX and X into the body of the Constitution. These were added as a part of the Bill of Rights; they are catchall provisions. One of your last comments is “and read it again until we understand every word.” But whose understanding are we talking about? Constitutional interpretation depends on your philosophy and viewpoint. Most legal scholars recognize six main methods of interpretation: textual, historical, functional, doctrinal, prudential, equitable, and natural, although they may differ on what each includes, and there is some overlap among them. Thus, depending on your choice of how to interpret the Constitution, your viewpoint and mine will be different. Thus, your viewpoint as reflected in your comments may be perfectly valid to you, but not to others. Because I have made certain statements about Constitutional provisions does not make them incorrect. We will always have disagreements on how to interpret what was meant by the Founding Fathers. Why else would there be six ways of interpretation? Forgive me, but I must chuckle at the reverence that is afforded this document. The Constitution has allowed an elitist takeover of the entire governmental structure, as it was meant to do. The wishes and desires of the majority have never mattered much. As evidence allow me to contrast what the majority want and what they actually get: The majority want an end to the Iraq war, but the war and the profiteering continue; the majority want universal health care, but the inefficient wasteful private insurance system continues; the majority would like some control of the cost of higher education, but the costs continue to escalate beyond the reach of ever increasing numbers of families; the majority would like responsible management of public expenditures, but what they get is a constantly weakening dollar because of ballooning deficits and the refusal to tax those who owe so much to this country and who can easily afford to pay more; the majority would like jobs for all Americans, but what they get is a lot of outsourcing, privatizing, illegal job holders and cooked job statistics; the majority would like secure borders and ports; but what they get is a porous southern border and a foreign country telling the US how to manage our internal affairs; the majority would like safe imported food and other products; what they get is cuts in the responsible agencies and a lot of double talk from the establishment; the majority would like cooperation with other countries on environmental matters, what they get is a government that has seceded from major world treaties; the majority would like our adversaries to be treated consistent with our humane traditions, instead our adversaries get torture, rendition and no judicial process. The majority have no power to influence national policy. The majority have been reduced to mere serfs. It’s time to scrap that old piece of paper and start over. How are the ills that you describe above the fault of the Constitution? I place a good share of the blame on the voters. Although money seems to be the only factor in today’s elections, voters have the power to make a difference. While, as a Nation, voting rights have become more inclusive of previously excluded groups, the percentage of voters remains low even in general elections – in 1996, 58% voted; in 2000, 60% voted; and, in 2004, 64% voted. In State and local elections, percentages are even lower. And, in many primaries in non-presidential years, forget it. We had a 13% turnout in Fort Wayne, Indiana, this past May in a primary that involved local positions – positions that will ultimately impact many important local issues. I agree with all the issues you raise, but voters need to take control of the government and hold their elected officials to their promises. If a Senator or Representative promises something and doesn’t follow through, then they should be voted out the next election. Why give them another chance? Yet, those who do vote, keep returning the same people to Congress over and over again. Are you suggesting a true democracy? I believe a true democracy would lead to utter chaos in this country. I don’t belong to the elite who are in control – I make enough to pay my bills and that is about it. But, I do not prefer that such rights as voting rights, birth control, etc., be put to a majority vote. Maybe in today’s world we have come far enough that it seems strange my gender was denied the right to vote until 1920, but it took 133 years from the signing of the Constitution to ensure that right to women. It would be interesting to know how many times – if put to a nation-wide majority vote – the majority would have continued to deny that right. Again, perspective plays a role in how you view the Constitution and the government’s role. If the majority controlled, I doubt women would have been included in the voting class until much later. Majorities would tend to impose their will on all the people whether or not the issue involved providing justice to a minority population – the Civil Rights movement, the Women’s suffrage movement, provision of legally provided adequate birth control to women, etc. But again, I realize my idea of justice may not be your idea of justice. As to the War in Iraq, I realize the voters last November made their voices heard as far as what we wanted with the war. The Democrats took control of both houses yet seem paralyzed to do anything. Then vote them out in 2008 (at least as to the House of Representatives). They promised to do something about the War, and they didn’t. I believe NAFTA and DR-CAFTA as well as the other “free” trade agreements are the most disastrous things that have happened to American workers. Finally, I am curious about how you would handle all the issues you have described above. I visited your website, and I am assuming you have a certain perspective on the Constitutional Convention and Constitutional interpretation. Thank you for a well thought out and detailed response to my submission. I respect your point of view; it does seem that it is the prevailing one at the present time. I think that I am on safe ground when say that statistically larger numbers at elections only increase the proportions but do not change the result. Crucial is what is presented to the voters and how that comes to pass. It is true that that the present state of affairs is predominately the fault of voters. In their defense, I must tell you that many suffer from having been poorly educated in our fragmented educational system and they work harder and longer than populations in other advanced countries. Six Years and Out will make for easier decisions, and at the very least, it will prevent the entrenchment of the sorry bunch that are passing for statesmen these days. I think that Six Years and Out can also courage legislators to act in the public interest rather than to gage every issue in terms of their own reelection. Please allow me to reinforce my point by telling you that I am fairly well traveled. My experiences in a number European countries has demonstrated to me that, on average, their populations are better educated. Even in poor countries like Albania, average citizens are literate in several or more languages. I think that our voters keep returning the same bad actors to office because most voters are poorly educated and they have little time to study the issues, so the 30-second sound bite and those who can produce more of them win elections. A society must have some sort of guidelines by which it attempts to operate. In that sense, the US Constitution is necessary. But to assume that it represents the wisdom of the ages is intellectually dishonest. It is a document that is interpreted to suit the prevailing dominant political philosophy. If my contentions are not correct then why do we now have US domestic spying, torture, rendition and suspension of habeas corpus? It is my opinion that a successful society is one that does the most good for the largest number of people. I’m afraid the US falls behind most other advanced countries by my measure. Thank you for visiting my website. It is a work in progress and I am not really good at it, but I’m learning; who said you can’t teach an old dog new tricks. I too have always gotten a kick out of the idea that these men were somehow these great wise sages that forged the future of this country. They were nearly all wealthy landowners that created a document that would help protect their interests. Only after they were concerned about a populist backlash was the Bill of Rights authored to try and somehow appease the free commonfolk. Do I think they got many things right? Yes. Do I believe there was some noble purpose behind their actions? No. I realize the Constitution was written by wealthy, white, propertied males, and I believe I mentioned that in one of my observations about the Constitution. But one thing that I think is interesting is that the they convinced those who were involved in the ratification efforts to accept the document before the Bill of Rights was added. What was to guarantee that the First Congress would follow through with its promise? A revolution and overthrow so quickly after the passage of the Constitution? After all, the common folk must have gone along with sending these men to the Constitutional Convention. Or they weren’t paying any attention – just as many voters don’t pay attention today. There had to be a “buy-in” of some form in order to keep the new government in place. But, regardless, it is the Constitution we have at this time. I do think the men who wrote the Constitution were wise. Although they probably hoped the Constitution would remain a protector of their rights, it became a vehicle to become more inclusive over the decades. The very commoners (and women and minorities) who were originally excluded from voting, now have the right to vote – they just don’t make use of it. We know that from the election results that are parsed to death every election cycle. I agree with Lewis that we are not well-educated in politics or other languages. Although my travels are not as extensive as Lewis (I have only lived in Germany), I remember that back when I lived there in the mid-1960s, most Germans knew English. We didn’t even have to worry about learning German. I think a good place to start would be ditching the electoral college. Why not have the presidential election truly subject to a majority vote? Although the situation that occurred in 2000 (popular vote winner – Gore; electoral winner – Bush) has only happened four times in our history, I think the electoral college is outmoded and not needed. You say why didn’t the common man rise up against the new government? They did! There were multiple riots and marches against the new government after the Revolution, but they were put down by force and the leaders were either jailed or executed (Our new government was worse than the British). This is the problem again with our education system. People like you that are in the know?, don’t tell the truth about the true history of this county. 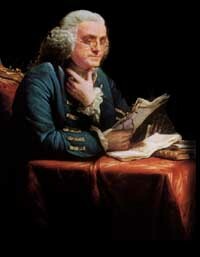 Our founding fathers were elitist landowners (that wanted more land – Washington was one of the largest land owners), business owners (John Hancock was a rich smuggler that did not want fair trade) and the majority of them were lawyers (that should tell you enough right there). They were more concerned with holding onto their wealth and property when drafting the new government than the common man or woman, otherwise the hypocrites would have let non land owners vote right away, along with woman, freed the slaves and treated the native tribes with respect. They considered all of the above as a bunch of rabble rousing scum that they had to protect themselves against. The only reason they are regarded as hero’s today is because they won the war otherwise if they had lost, they would have just been considered spoiled terrorists. They accomplished winning the war by using coercive tactics and the help of the French Army. The common man of that time did not support the Revolution, and you can white wash it anyway you want but it still doesn’t change the fact that the USofA is the land of rich and not the common man, ergo our problems of today, tomorrow, and forever. Oh, and if you want to claim I’m a democrat or rebublican, forget it. I’m none of the above. All our politicians are puppets put in place for continued established elites. Prove me wrong. End of story. “The Constitution, then, illustrates the complexity of the American system: that it serves the interests of a wealthy elite, hut also does enough for small property owners, for middle-income mechanics and farmers, to build a broad base of support. The slightly prosperous people who make up this base of support are buffers against the blacks, the Indians, the very poor whites. They enable the elite to keep control with a minimum of coercion, a maximum of law-all made palatable by the fanfare of patriotism and unity. “To protect everyone’s contracts seems like an act of fairness, of equal treatment, until one considers that contracts made between rich and poor, between employer and employee, landlord and tenant, creditor and debtor, generally favor the more powerful of the two parties. Thus, to protect these contracts is to put the great power of the government, its laws, courts, sheriffs, police, on the side of the privileged-and to do it not, as in premodern times, as an exercise of brute force against the weak but as a matter of law. The First Amendment of the Bill of Rights shows that quality of interest hiding behind innocence. Passed in 1791 by Congress, it provided that “Congress shall make no law . . . abridging the freedom of speech, or of the press. . . .” Yet, seven years after the First Amendment became part of the Constitution, Congress passed a law very clearly abridging the freedom of speech. This was the Sedition Act of 1798, passed under John Adams’s administration, at a time when Irishmen and Frenchmen in the United States were looked on as dangerous revolutionaries because of the recent French Revolution and the Irish rebellions. The Sedition Act made it a crime to say or write anything “false, scandalous and malicious” against the government, Congress, or the President, with intent to defame them, bring them into disrepute, or excite popular hatreds against them. Attention please: this document is null and void in allen county. the rule of law is not in effect here. Our local politicians, cops, lawyers, judges, and businessmen pretty much do whateve they darn well please, as long as it transfers money from our pockets to theirs. And that is exactly what they think of us taxpayers, and citizens- cash cows to milk away our resources. just try to get any “interesting” public documents from our govt. especially city police files, even if “redacted”. We are merely serfs, and economic slaves to the “powers that be”- the Masons, the “Helmke Clan”, the local “Mafiosi’s”, and lots of others. The local media exists to further this agenda. The biggest illegal gambling racket in the history of Allen county and Indiana- Cherrymaster/poker/slot machines have been in lots of venues, illegally since 1992, as far back as I recall, likely longer. Governor daniels , a republican, i might add finally forced the excise cops to do the job that the Allen county sheriffs dept, and FWPD refused to do. The prosecutors office refused to prosceute, the judges failed to do anything. our legislators, Senator Wyss, moral crusader, particularly, and others. Our city council, with oversight over the FWPD failed to enforce their oaths of office to uphold the laws of the state, and the constitution. the bible, and the “so help me god” aparently carry no weight for these immoral criminals. are they Ignorant? too stupid to know the laws, read the laws, uphold the laws, or live by the laws. Or only certain laws that dont apply to us commoners? Are they incompetent? too clueless to even know how to investigate, prosecute, or bring charges? are they crooked, and corrupt? paid off by someone to ignore the laws- certain “inconvenient laws”, and turn a blind eye? meanwhile, the cops ruthlessly enforce laws,on peaceful citizens, merely trying to haved a little fun on a weekend? filling quotas, wasting valuable resources- clogging the courts, filling the jails, rehab centers, AADP poison pill pushers, and sucking out the economic lifeblood of anybody unfortunate to be out past dark on the weekends? Think about how little real control you have over your daily life that isnt ruled by some law or other, that obscure clause in some statute that will send you up the river for life. I wont elaborate, due to brevity( this isnt a sound bite topic). but let me assure you that the interesting documents presently being exhibited in the allen county courthouse-(whorehouse- because justice is prostituted daily) by the chief justice (pimp)(who has to have know about all the rampant illegal racketeering for his term- illegal sports betting, illegal numbers games, tip boards, pull tabs, cherrymaster machines, poker tournaments, and internet betting, and gaming )makes a mockery of everything our founding fathers beleived in. “Lex is Rex”- law is king” i have heard it said- the rule of law, and the slippery slope. either change the laws to reflect current free will, liberty, and freedoms; or enforce every single law, in every single law book, to the fullest extent of the law- as they are swron to do. You cannot pick and choose which laws to enforce, uphold, or not. its all or nothing. I was a very vocal dissident about the crooked/criminality of our local govt. What did they know, and when did they know it? anyway, we are not free men, with free wil. we are merely a money source for the rich, and powerful interests who own, run, and control everything, and who will persecute any vocal dissident who “bugs the status quo. Matt Kelty brought all his own grief on himself, BTW. I have been run through the wringer, and dragged through the muc for asking the above questions, and line of logic for the past several years. so now my name is “MUD”. I have been entrapped, and blacklisted. every possible public record has been smeared- due to intense police scrtiny, and surveillance. You would think I was “fort wayne’s most wanted. I admit, I was just living my life- working, tryiing to have a little fun, enjoying the nightlife in FTW. but you have to ask yoursel- how many obscure laws are youbreaking, and dont even know it? did you know that driving .08, or less, you can still be jailed, etc for OWI- operating while intoxicated, which is different from driving under the influence? we live in a police state called “Amerika”- our rights of habeus corpus and privacy and speech have been usurped, in the name of “securing the fatherland”, as Hitler said. Its time to elect citizens who will promise to repeal as many intrusive laws as possible, and laws to secure our economic, and personal freedoms. I have a long list of where to start. a place in the blogosphere where anything goes- freedom, liberty, and the pursuit of happiness. see- i’m not as stupid as they would like you to think i am. no black whirlybirds- just the facts, maam. And, didn’t Abraham Lincoln suspend the Writ of Habeas Corpus at the beginning of the Civil War? Doesn’t the Constitution also say that the Writ shall not be suspended unless in times of invasion or rebellion? His action was challenged in court and overturned by the U.S. Circuit Court in Maryland (led by Supreme Court Chief Justice Roger B. Taney) in Ex Parte Merryman, 17 F. Cas. 144 (C.C.D. Md. 1861). Lincoln ignored Taney’s order. I agree that many times the government does things it shouldn’t do. But if citizens could be convinced to go along with the Constitution because it contained “a little bit” for everyone, what is so different from today’s environment? Here is what I don’t get – why do so many people, in particular, the middle to lower classes, buy into so many detrimental and non beneficial arguments from politicians? I have watched a couple of Howard Zinn documentaries, and I tend to agree with many of his ideas. However, the Constitution is in force at this point. I believe overall it is a good document. I also believe that the only way things can change is for Americans to start paying as much attention to politics as they do the sports channels on the weekend. Learning about candidates, although not an absolute guarantee to selecting the best choice, is the best tool citizens have to enable them to make an informed decision. Protecting their own interests? They knew had they failed, the worst punishment you could imagine awaited them of that time era. While they were signing it, they knew their chances of succeeding were very slim if not impossible. The only interests they were protecting were their country and their countrymen. They would have lost it ALL had they been defeated. I find it interesting that no one mentions that from just an analysis of the words of the Constitution that it was written for the rich and privileged. A perfect article I found talks about this subject: http://interestingblogger1.blogspot.com/2011/07/we-rich-not-we-people.html .The author does not mention this and it seems strange to me.